PrefactorTech integrate TM-Robot to become several modules for different industries. Those applications including the machine tending cell, assembly, etc. Techman robot have TM-700 and TM-900. The payload of robot is 6 / 4kg. 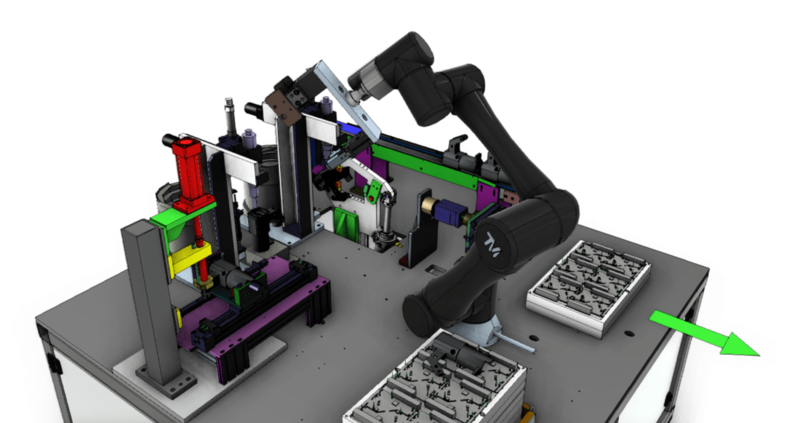 TM robot has built-in intelligent vision system which provides totem pairing, object position, bar code identification, color differentiation, and other vision functions. With built-in vision system and its advanced features, TM's robot is the smartest and most easy-to-use robot in the world.